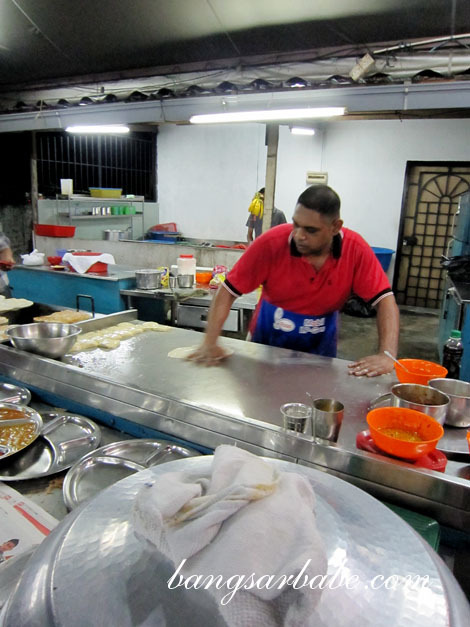 Roti canai is prided as one of the must-try items when you’re in Malaysia. It’s cheap, simple and most importantly, tasty. 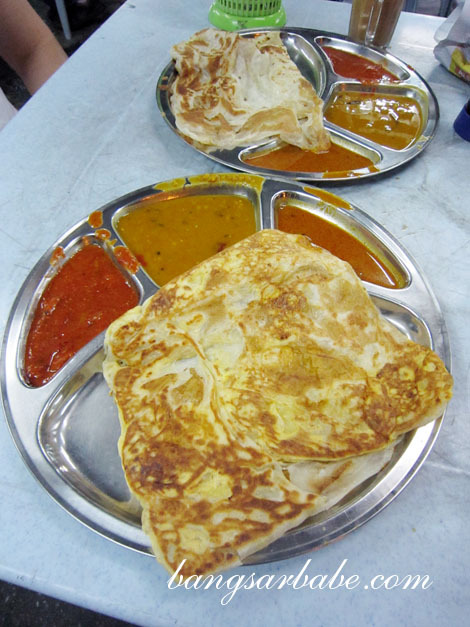 After three days of good dining in Singapore, the only thing I wanted to eat when I returned to KL was roti canai. 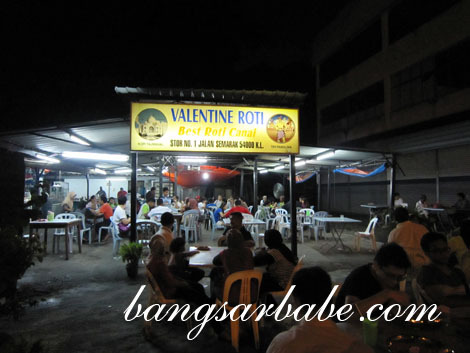 Valentine Roti claims to serve the best Roti Canai in Kuala Lumpur and judging from the crowd that night, they might just be right. They were seriously short-handed that night; even getting someone to take our orders took 15 minutes, and our food took another 30 minutes or so to arrive. 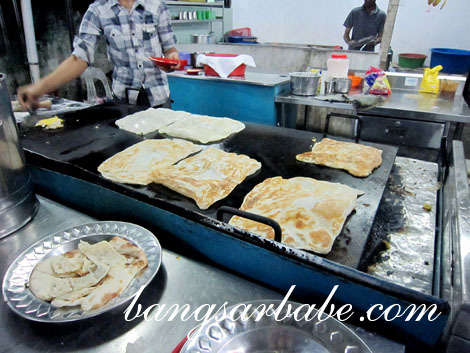 Best roti canai in KL? The best thing to order here is the roti canai (RM1.20) – paper thin, light and flaky, and almost melts in the mouth at the contact of your saliva. 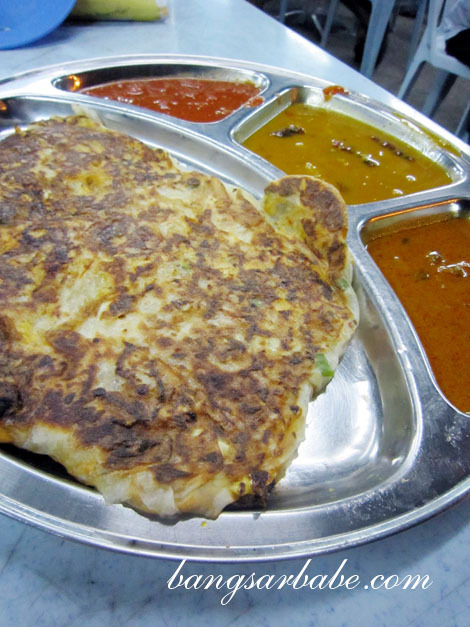 Doughy roti canai becomes floppy and heavy when curry or dhal is added on, but this one held its flaky nature. I spotted a small Indian girl eating two of this when I was there. I also ordered the roti telur bawang (RM2.20) for comparison. This was also quite good. The roti was evenly thin throughout, which complemented the egg and onion mixture well. Another must try here is the Roti Valentine (RM4.50), an aromatic composition of sardine, onions and mixed vegetables. Think of it as roti sardine, version 2.0. Because of the roti’s light texture, I could eat two of these easily. Insanely addictive! 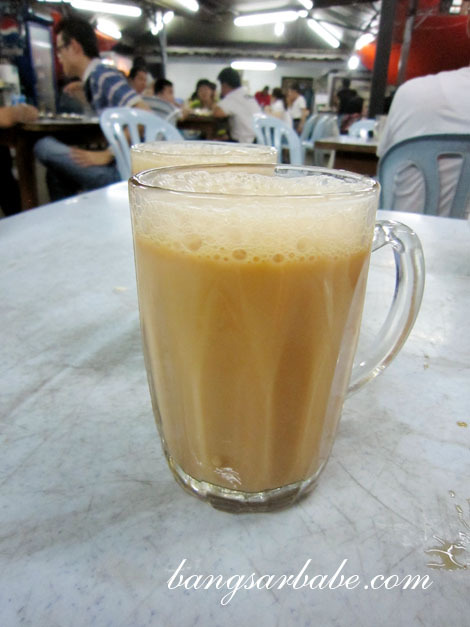 Wash the roti down with a cup of hot, frothy teh tarik (RM1.30 each) and you’ve got yourself the supper of the year. For now, I have to agree that Valentine Roti serves the best roti (canai, telur and Valentine) I’ve tasted so far. Service can be painfully slow during peak hours, so it’s best to employ a ‘self-service’ attitude. Verdict: The best roti canai I’ve eaten so far. I’m never going back to Raju’s. Very hard to find a good roti canai joint, and I’m fussy because I seldom eat it when I’m there. 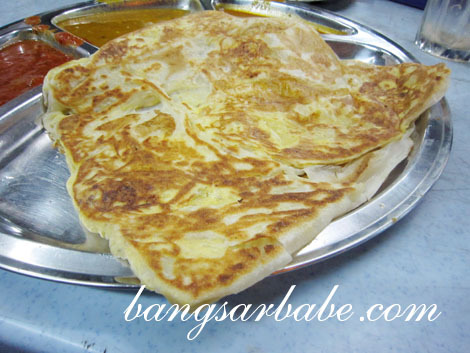 A good roti canai goes well with a good curry too….dislike watery* curry. The curry was decent. 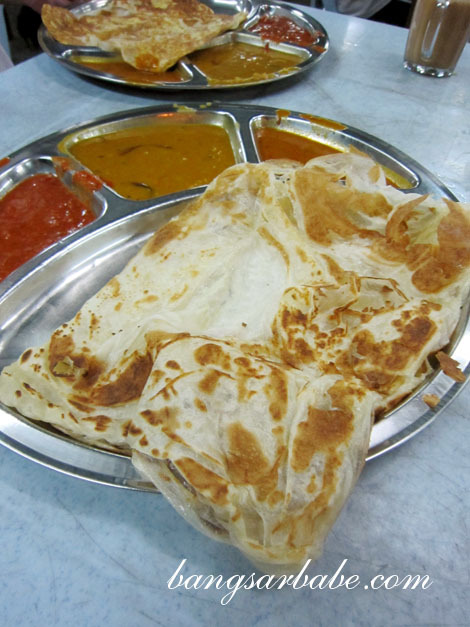 I’m still drooling over the thought of this roti canai hahaha!